We are excited to introduce a new, low sugar snack bar line to our growing roster of energy foods. These new Snack Bars are made with simple gluten free ingredients such as organic honey, organic apples, nuts and seeds, all of which are GMO free. 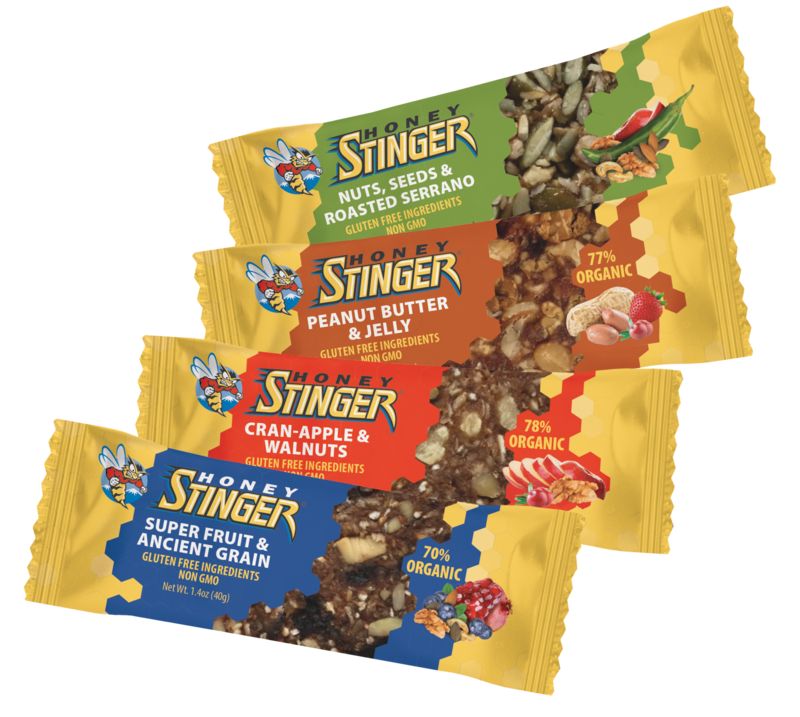 Honey Stinger Snack Bars are available in four flavors: Peanut Butter and Jelly, Super Fruit and Ancient Grain, Cran-Apple and Walnuts, and Nuts, Seeds and Roasted Serrano. Snack Bars are available in boxes of 15 at specialty retailers nationwide and online at www.honeystinger.com (MSRP $25.35). Snack Bars are the third new product line from Honey Stinger this year. In January, the company introduced new Gluten Free Waffles in flavors Salted Caramel, Cinnamon, and Maple, and Protein Chews in flavors Raspberry, Juneberry and Cherry-Lime.